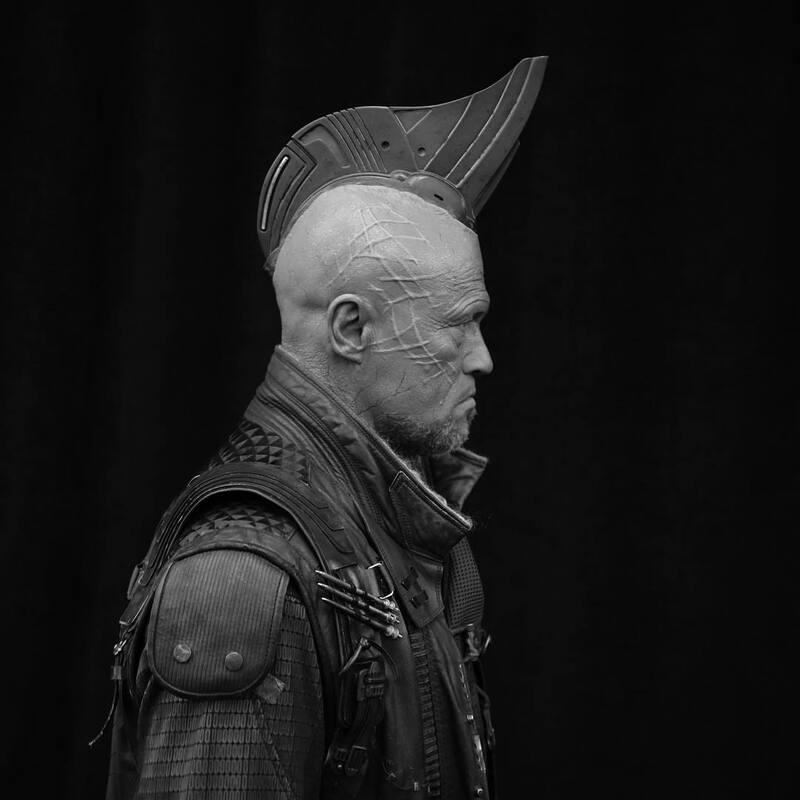 One thing Marvel likes to do with their Comic-Con panels is bring out the members of the MCU in full costume to delight the crowd in Hall H. This year was no different, with Michael Rooker going full Yondu alongside the actors who make up his crew of Ravagers. 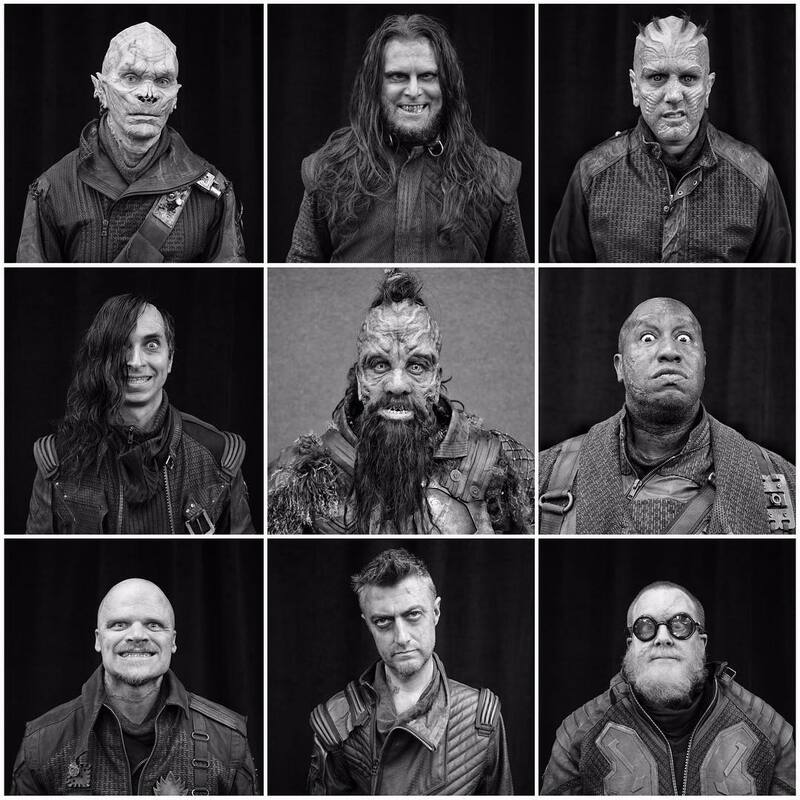 While what happen in Hall H usually stays in Hall H, thankfully comedian Steve Agee, who appears in the sequel as Ravager Gef (pronounced Jeff), was able to snap some close photos of the newly mohawked Yondu, and his crew made up of, from top left going in a circle, the wonderfully named Brahl, Oblo, Scrote, Narblik, Gef, Kraglin (Gunn’s brother Sean, also stand-in for Rocket in the original movie), Wretch, Half-Nut, and Taserface. Guardians of the Galaxy Vol. 2 comes our way May 5th 2017.